If you are looking for the best smoker grill combo then there are a few ways of tackling the problem. One type of combo cooker has multiple cooking chambers which allow you to smoke with charcoal on one side and grill with gas on the other. This type of cooker will allow you to simultaneously smoke some ribs while you grill some chicken wings. I have looked at this option in depth and there are three main products in the “all in one combo” market. Instead of getting an “all in one” option let me encourage you to look at some different ideas. The Woodwind is a digitally controlled smoker that is fueled by wood pellets. The temperature range on the Woodwind lets you smoke beef jerky at 150F and get you crispy grilled chicken by smoking at 450F. 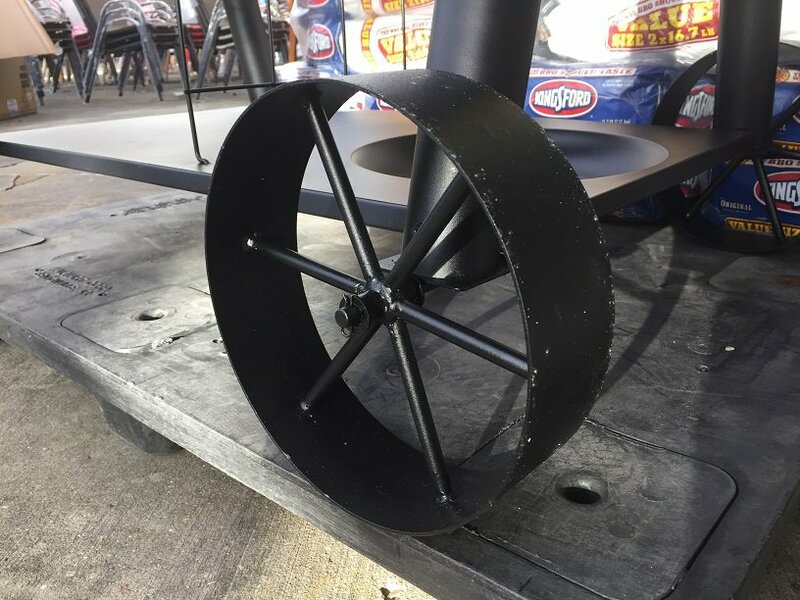 The smoker is perfect for smoking ribs, briskets and pork butts at the 225-275F range. What makes the Woodwind a great idea is that is comes with a propane powered Sear Box that is the BOMB for finishing steaks. The Sear Box is NOT a standard issue side burner. 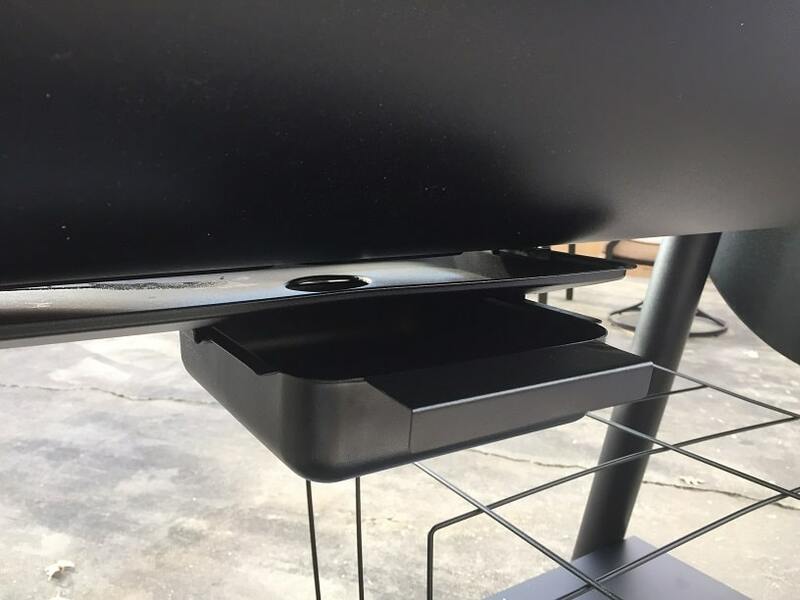 The Sear Box is designed to reach temperatures of 900F and be the ultimate searing machine which makes this the best pellet grill for steaks. You would not do standard grilling on the Sear Box. You would cook your food in the main chamber and then use the Sear Box to finish the meat for grill marks and caramelization. Take a look at the promotional video for the Woodwind. The video does a great job of showcasing the grill while being highly entertaining and funny. The Weber 26.75 kettle is the hidden gem of Weber charcoal grills. 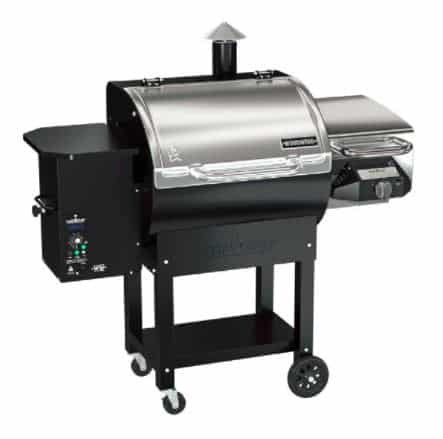 This grill is absolutely massive and the air controls are designed well enough to use this as a low temperature smoker. 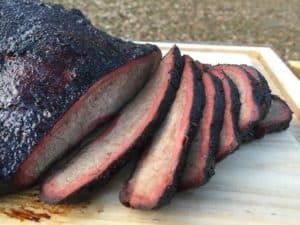 Some people believe that the Weber 26.75 is a better smoker than the legendary 18.5 inch Weber Smokey Mountain due to ease of control and capacity. If you bought this grill you would own one of the best grills that Weber ever made and be able to turn out incredible smoked meats on a regular basis. Here are three videos to introduce you to these combination barbecue pits. You will get to see the modifications people have made to make them perform better as well as how they have held up over the years. Grilling Area = 375 square inches on each side = 750 square inches total. Grilling Area = 438 square inches on each side = 896 square inches total. Note: There are three different versions of this grill (Model Numbers 5050, 5650 and 5072). Subtle differences in the styling exist between these versions but the only real difference is which Big Box Store sells them. Lowes sells the 5050, Home Depot sells the 5650 and Wal-Mart sells the 5072. Grilling Area = 429 square inches on each side = 858 square inches total. Side Burner: Model 3300 does not have a side burner. Models 6500, 6800 and 8500 have High Heat Sear Stations instead of a standard side burner. The grill in the video above has a High Heat Sear Station. Smoker Box: Some models have a rounded smoker box with a front opening lid while others have a squared off smoker box with a top opening lid. Two models do not have a smoker box. Grill Area: The total grilling area of the different models varies between 860 and 1435 square inches. Despite the differences between the models they are essentially all the same grill. In my opinion the best barbecue pit out of the three choices is the Oklahoma Joe Longhorn Combo. I put my hands on one of these the other day and was really impressed. The grill looks rugged and handsome and the badges on this grill are just pretty. The side burner appears to be put on solidly enough and you will be using it on a regular basis to light your charcoal. A combination grill like this is the only type of grill where a side burner ever actually made sense to me. 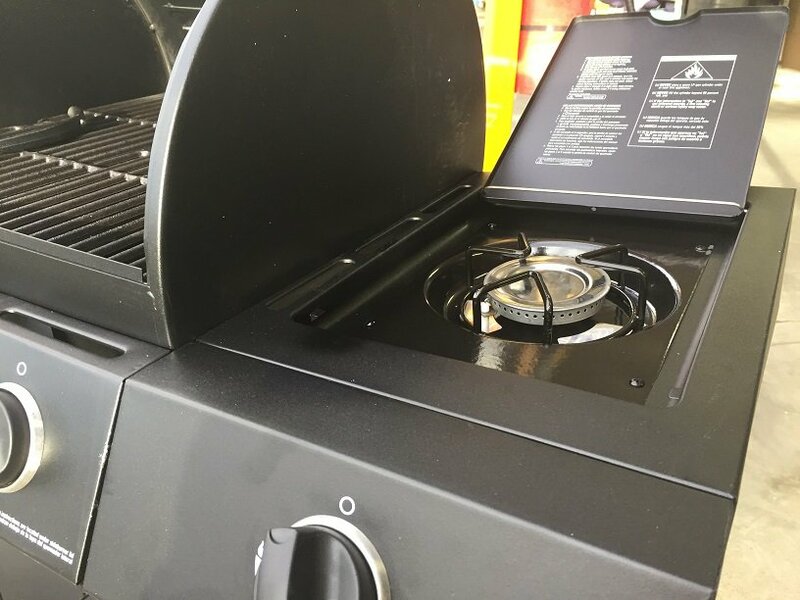 On most grills the side burner never gets used while on a combo grill it serves as the perfect lighter for a charcoal chimney. The grates are solidly built out of cast iron that has been coated with a clear porcelain enamel. 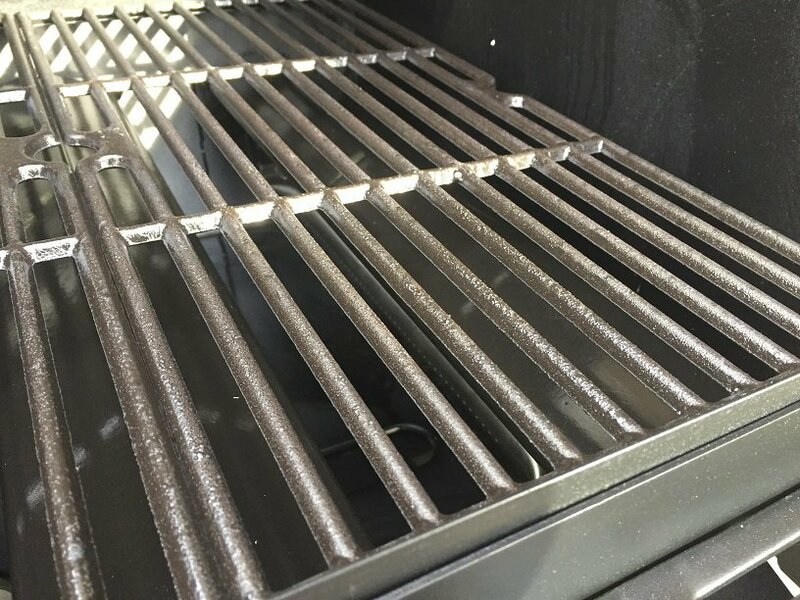 I like the thinness of these grates better than the thick grates you get on a Weber Spirit II . 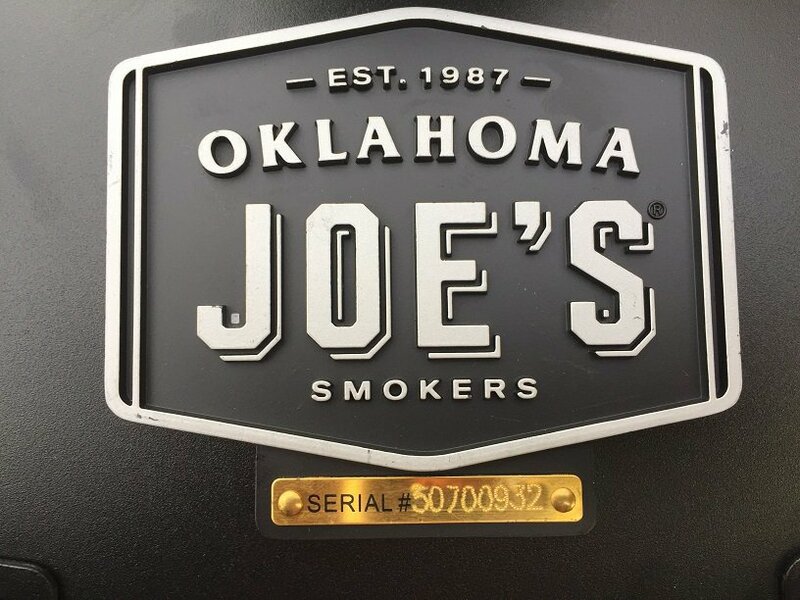 On the Oklahoma Joe the grates are thin enough to let you put down some serious grill marks. The cast iron will last a LONG time. The one thing that I didn’t like about this grill is the lack of drainage on the charcoal side of the grill. There is a nice grease tray on the gas side of the grill but there isn’t anything equivalent on the charcoal side. This makes me thing that cleaning out the charcoal side might be a bit of a pain. And lastly…did I mention that I like the way this grill looks 🙂 Check out the wheels on this thing. SOLID! You are definitely going to want to get a cover for this grill. Although it is solidly built it is also prone to rusting if left exposed. I also suggest that you get some high temperature silicone to seal up the leaks on the smoker side of this guy. Using the silicone is super easy. So now that you know a little more about the Oklahoma Joe Longhorn Combo let me tell you why I do not like the other two options. 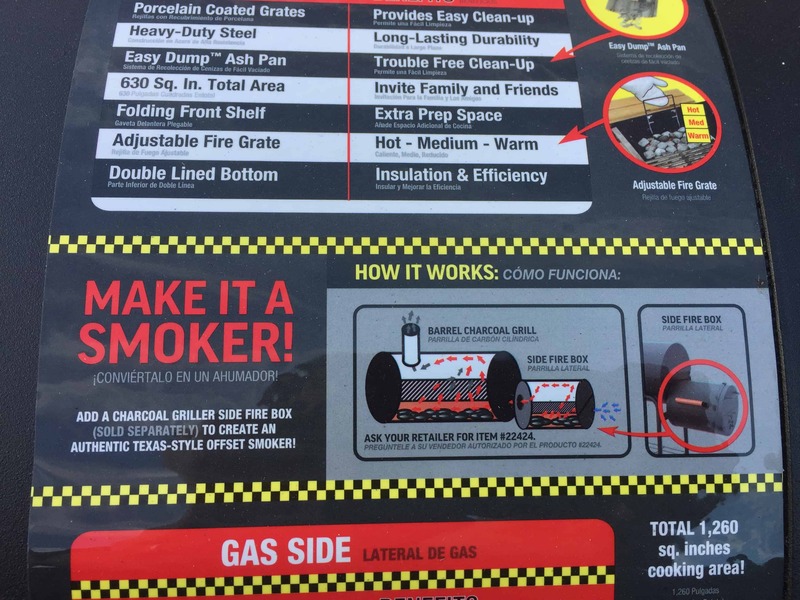 Char Griller Problem # 1: The smoker box is NOT included and that just rubs me the wrong way. Sure, you can buy it separately for an extra $50 but how many people do you think missed that little detail when they ordered it online? Char Griller Problem #2: These grills rust like crazy! Here is a picture of one that I snapped at Home Depot. 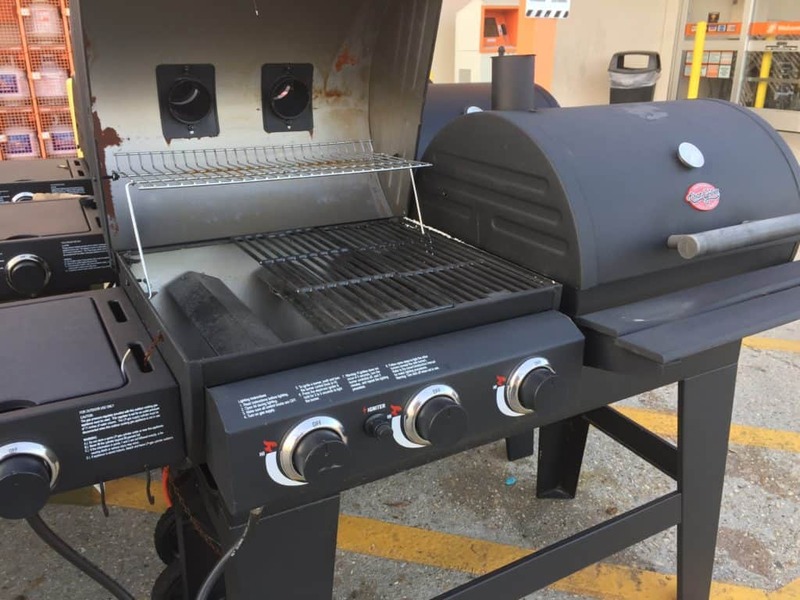 Take a look at how much rust is inside the lid of this brand new grill. The rust was all over the inside cabinet as well. Char Griller states that this rust is normal and the result of steel being exposed to the elements. Also, this grill does come with a 5 year warranty against rust through. All the same, I have no interest in owning a grill that rusts that fast. I will refer you back to the video above for this one. That smoker was still running at 4 years because of all of the repairs and rebuilds the owner performed. If you are not handy with working sheet metal then your grill will not last as long as his. The poor build quality is reflected in the one year warranty. 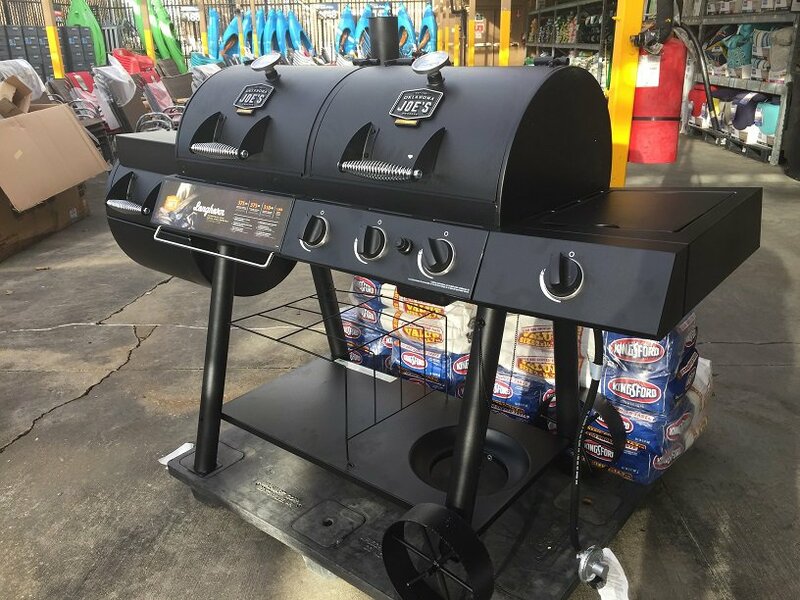 Lots of folks really love their Smoke Hollow and Char Griller combination smokers and if you find a good deal on one go ahead and pick it up! However, if you want to buy the best option then get yourself the Oklahoma Joe Longhorn Combo.